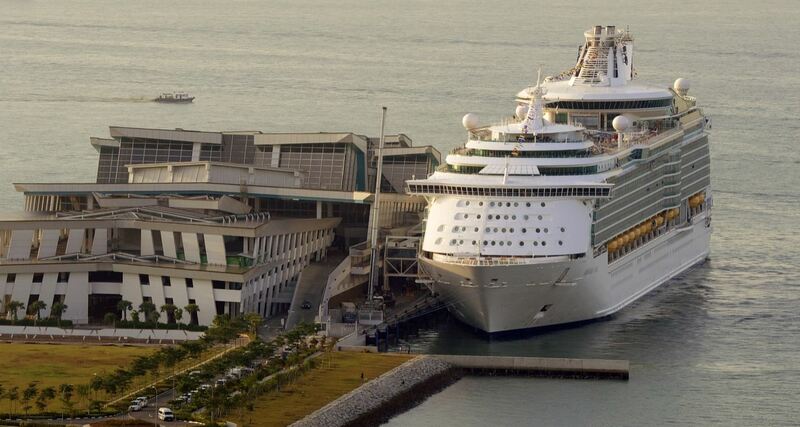 From this October to May 2017 Asia’s three largest cruise ships Ovation of the Seas, Mariner of the Seas and Voyager of the Seas will be back in Singapore offering Royal Caribbean International’s longest-ever homeporting season in the city-state. 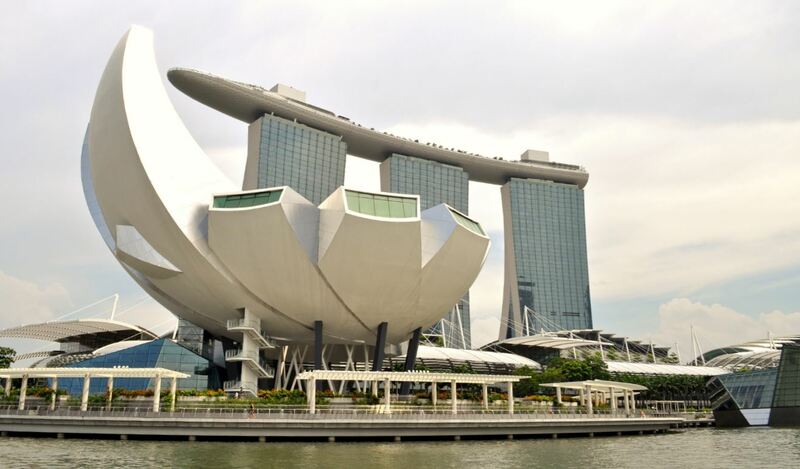 During eight months 55 cruises are expected to bring an estimated 200,000 guests to ports in Southeast Asia. The deployment of these three ships will increase Royal Caribbean’s capacity in 2017 in Southeast Asia by 30 per cent compared to 2016. 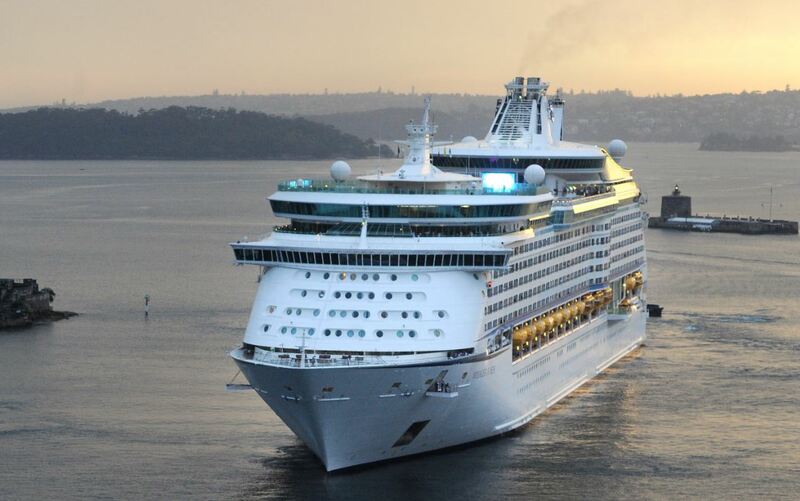 To kick start the season Mariner of the Seas is offering 39 sailings ranging from three to seven nights to popular destinations such as Penang, Langkawi, Kuala Lumpur (Port Klang), Phuket, Bangkok (Laem Chabang) and Ho Chi Minh City (Phu My). New itineraries for the season are a 3-night Penang Weekend Cruise and a 4-night Phuket Cruise. Other highlights of Mariner of the Seas are the festive cruises for Christmas and New Year in December and Chinese New Year in January 2017, which come with special entertainment, decorations and feasts onboard. Theme cruises are also being lined up such as the Salsa Cruise this December and the second Cosfest Sea Cruise next February where guests can look forward to a cosplay themed parade, anime party and treasure hunts. Asia’s largest and newest ship Ovation of the Seas, which was in Singapore in June, will be back in March to April 2017 with a total of 10 new sailings, comprising of three to five nights cruises to Penang, Phuket, Bangkok (Laem Chabang) and a 12-night one-way cruise to Tianjin with calls at Ho Chi Minh City (Phu My), Hue/Danang (Chan May), Hong Kong and Seoul (Incheon). 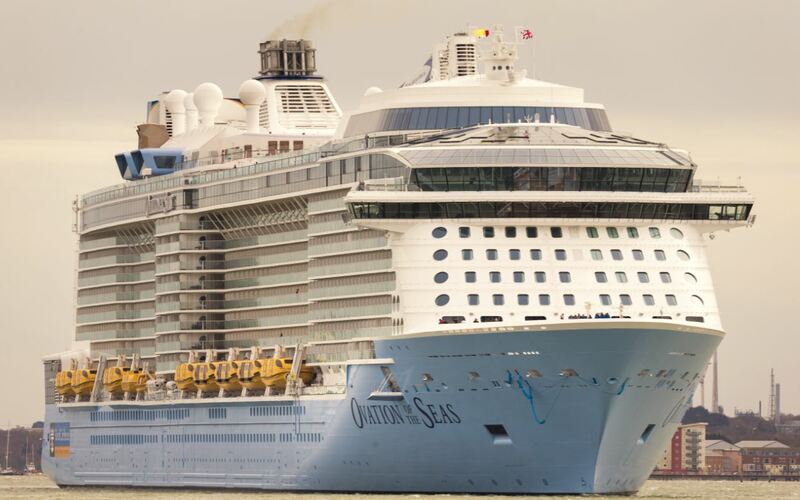 Ovation of the Seas alone is expected to add some 42,000 additional guests to the Singapore cruising scene. Following this Voyager of the Seas is returning in May 2017 to offer six sailings of three to five night Southeast Asian itineraries to Kuala Lumpur (Port Klang), Penang, Phuket and an 8- night one-way cruise to Hong Kong, with stopovers at Bangkok (Laem Chabang) for an overnight, Ho Chi Minh City (Phu My) and Nha Trang. The 15-deck, 3,800-guest Voyager Class ships Mariner of the Seas and Voyager of the Seas are packed with entertainment and activities for guests of all ages, such as the Royal Promenade, ice skating rink, full-sized sports court and DreamWorks Entertainment. 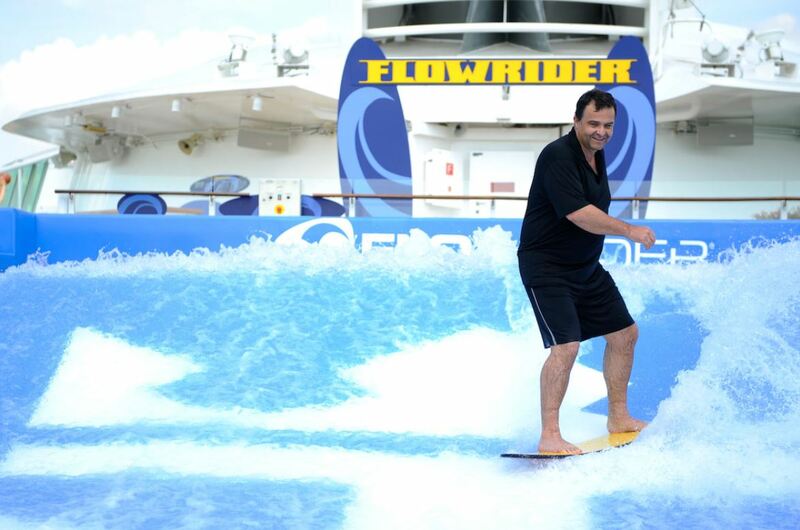 In addition, Voyager of the Seas comes with the FlowRider surf simulator. 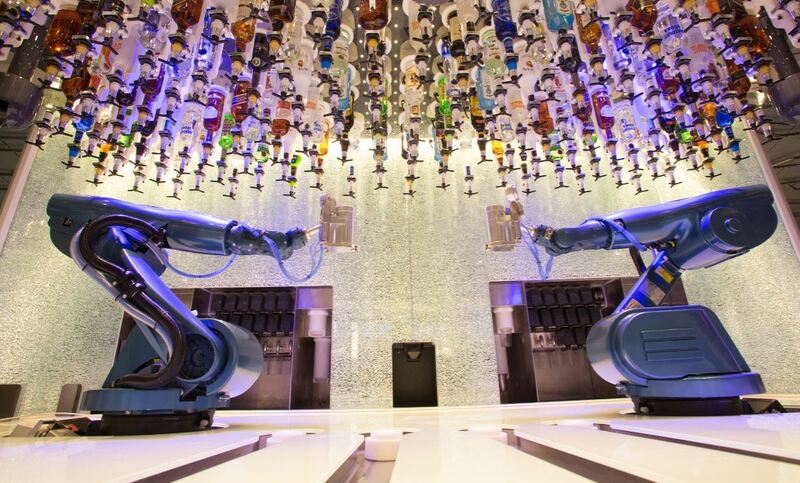 Guests onboard the new 18-deck smartship Ovation of the Seas can enjoy the ‘North Star’, an observation capsule that rises 90 metres over the ocean; ‘Two70’ – a $18.5 million hi- tech entertainment venue; cocktails served by robots at the ‘Bionic Bar’; skydiving and surfing experiences; interior virtual balconies with real-time ocean views; luxurious Loft suites with large living areas and private concierge service; and ‘SeaPlex’, the largest indoor activity space at sea – housing a basketball court, circus school, roller-skating, bumper cars and more. Ovation of the Seas also boasts 18 restaurants with cuisines from around the globe, including imaginative cuisine at Wonderland and Jamie’s Italian by celebrity chef Jamie Oliver. Guests onboard Ovation can enjoy the fastest internet connection speeds at sea and a collection of artwork valued at more than $6 million. Visit our post Ovation of the Seas – a visit for a closer look inside Royal Caribbean’s newest smart ship.